Monthly FOLD for December 2014 from our coordinator, Kevin Ton. Merry Christmas everyone! I hope everyone is enjoying their break. This edition of the Monthly FOLD is a tessellation, a modified version of the 3.6.3.6 tessellation created by Shuzo Fujimoto. I chose a translucent paper called glassine to fold this piece to show off the different layers that appear when backlit. 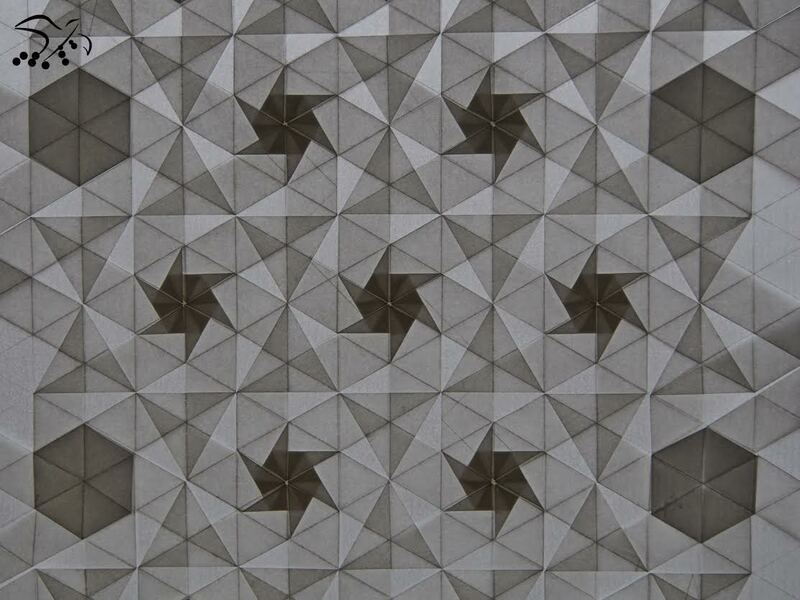 Try something new and fold a tessellation!